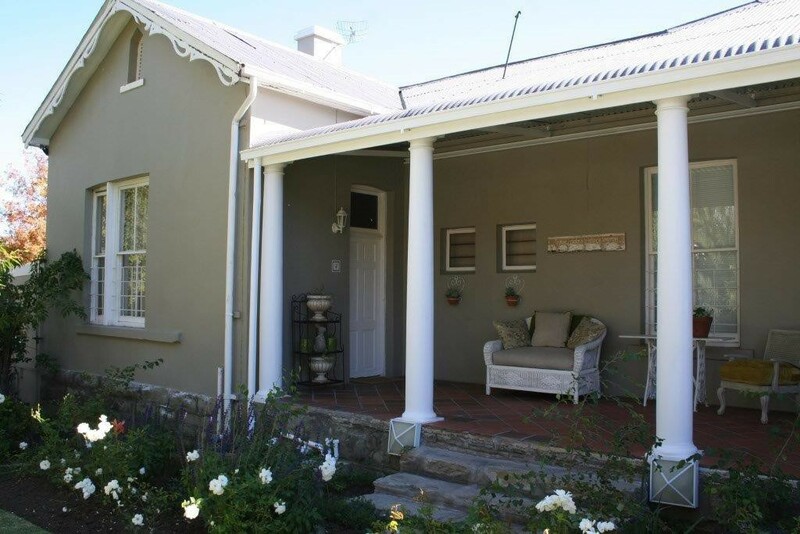 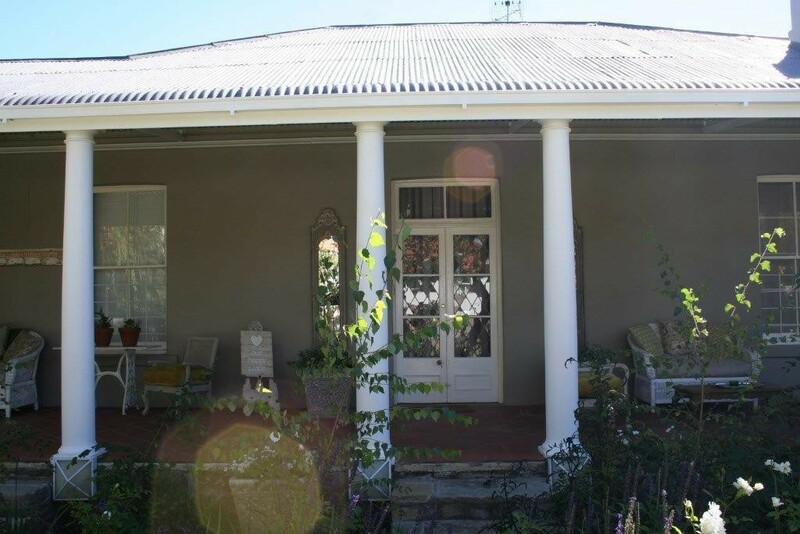 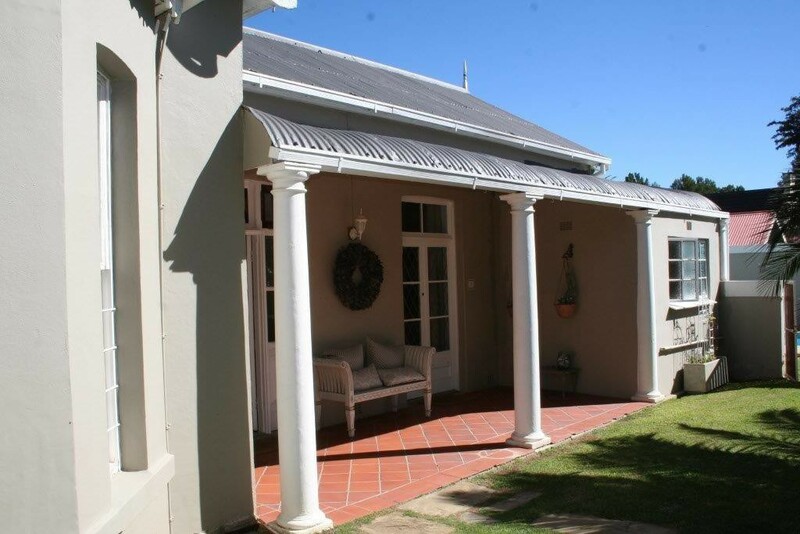 Conveniently situated close to all schools and hospitals- this beautiful old home, originally named “St Erth”, has been beautifully and lovingly restored into an upmarket guest house with individually decorated en-suite bedrooms, all with private entrances, relaxing patios and secure parking. 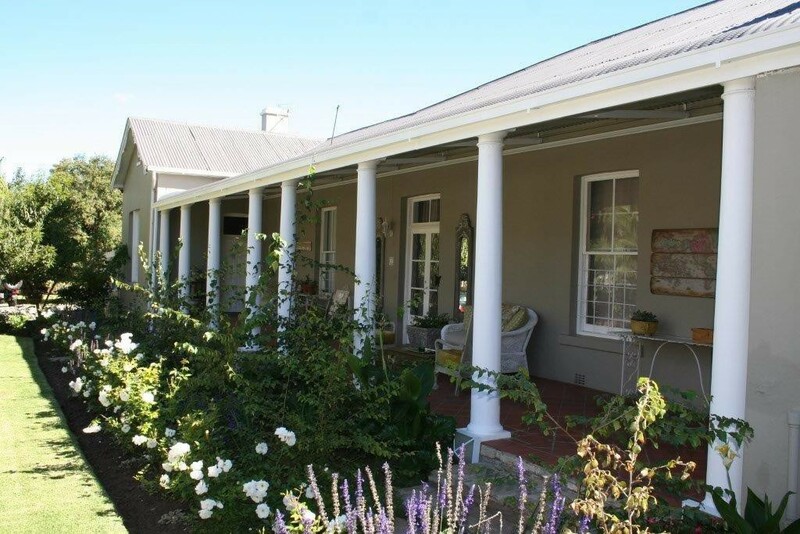 Relax around a sparkling pool in tranquil gardens and enjoy your hostess, Rosies, culinary skills – delicious home cooking tastefully prepared. We have 12 rooms of which 4 can be used for self catering, and one is equipped for paraplegic use. 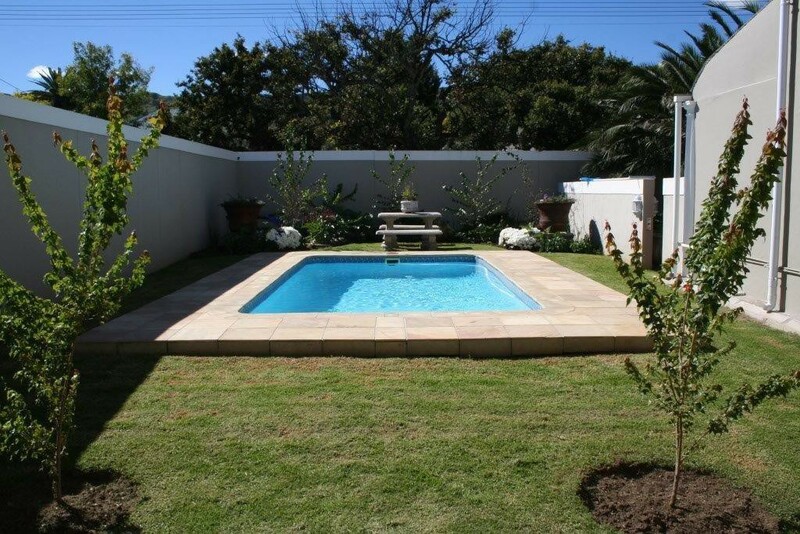 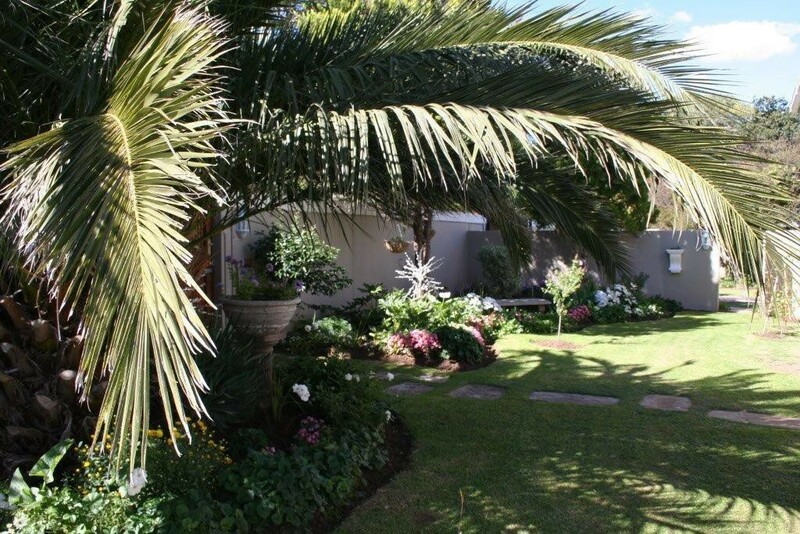 You will find our Beautiful tranquil gardens with 3 under cover patios, 3 braai areas and a lovely pool. 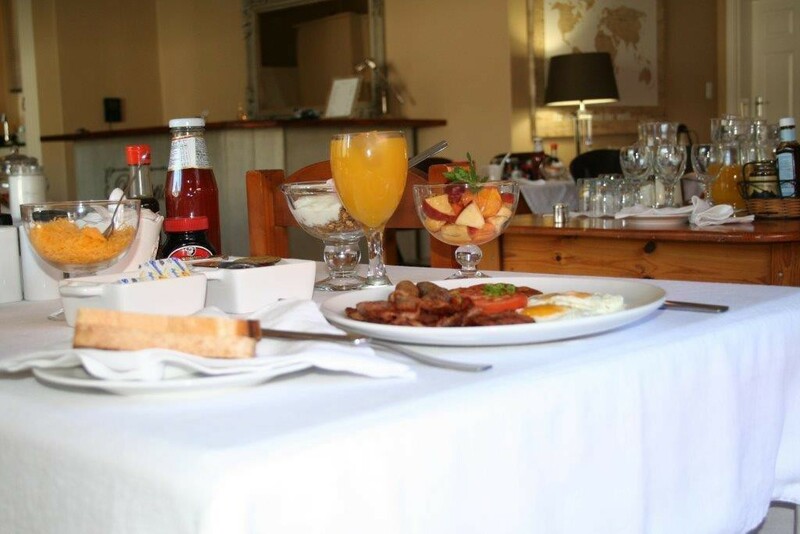 English and continental breakfast served every morning and a 3 course dinner served either in the dining room or on trays in the room. 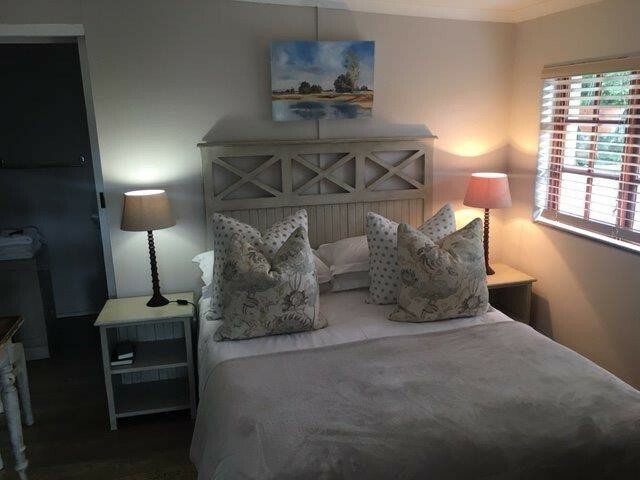 All rooms have tea and coffee facilities, Flat screen TVs with DSTV, ceiling fans, electric blankets. 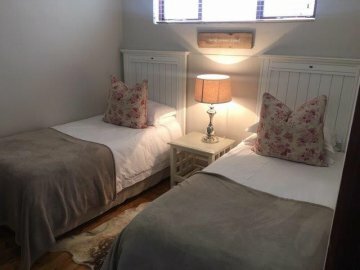 All rooms are en-suite with shower, basin and toilet, one room has a bath, shower, basin and toilet. 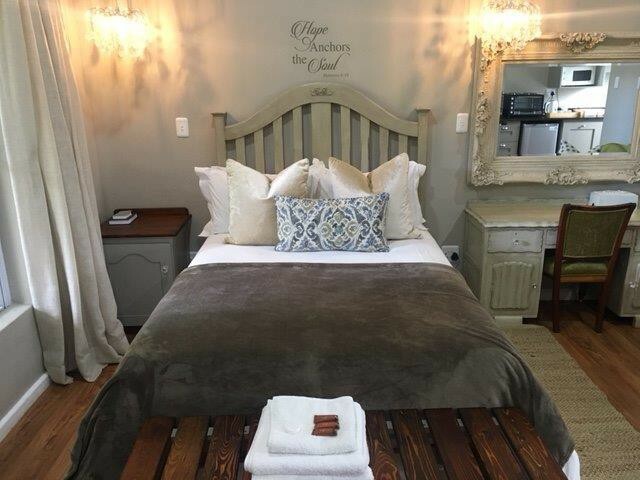 Queenstown, named after Queen Victoria, is a town in the middle of the Eastern Cape Province of South Africa, roughly halfway between the smaller towns of Cathcart and Sterkstroom.